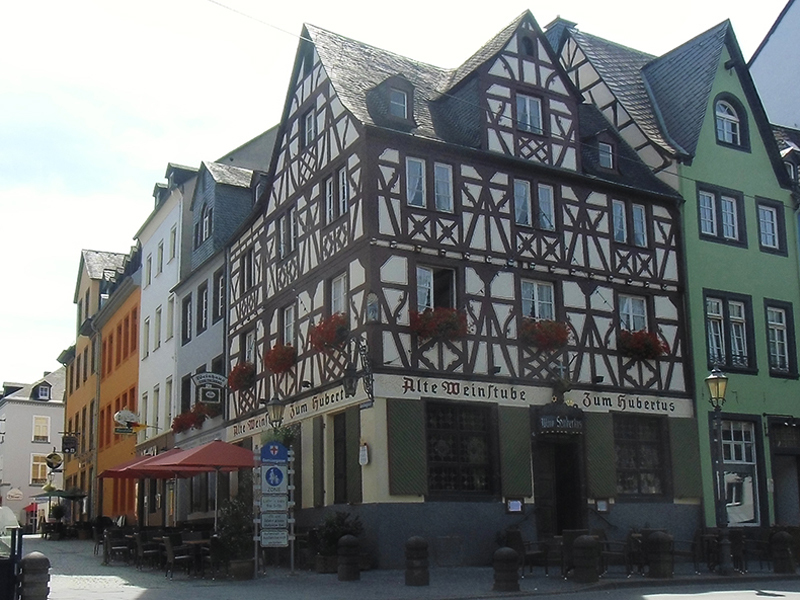 The Hubertus wine bar, one of the oldest remaining half-timbered buildings in Koblenz, built in 1689 and renovated in 1921, survived the Second World War and bore witness to this area of the city losing its appeal for several decades. 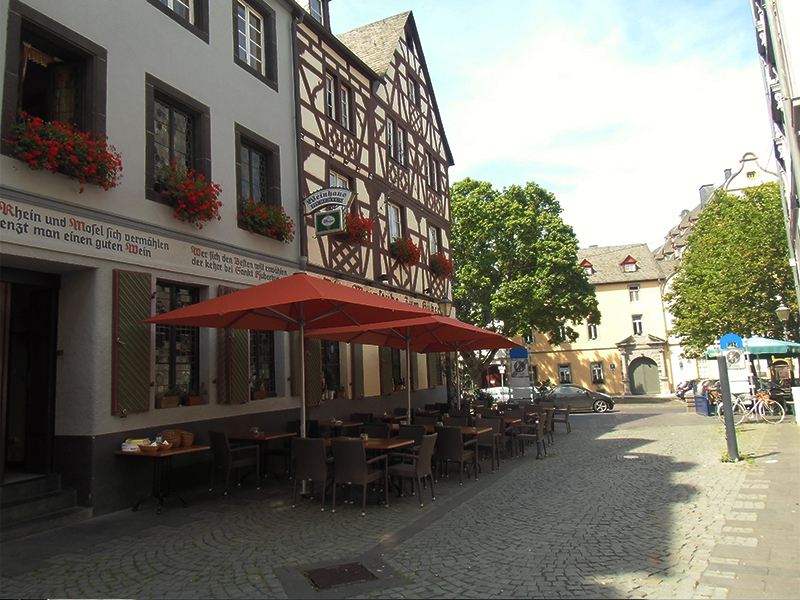 Today, however, this is once again one of the prettiest areas in Koblenz and is a must for every tourist tour. In a rustic style with dark timber beams and subtle country house decoration, you can sit and enjoy a glass of wine and regional dishes on a bench in an old courthouse where once the poor sinners had to sit and wait. When it is busy you might need to move closer together, and even the dyed-in-the-wool “Schoppenstecher” wine lovers will not only find the right wine, but also have some small snacks to keep them going for shopping. The crowd is just as colourful - regulars sit beside tourists, locals next to gastro-tourists - all with the goal of spending an evening in a great atmosphere, in historic settings, with delicious food and well-selected wines. Rustic wine bar in the historic half-timbered house of 1689. 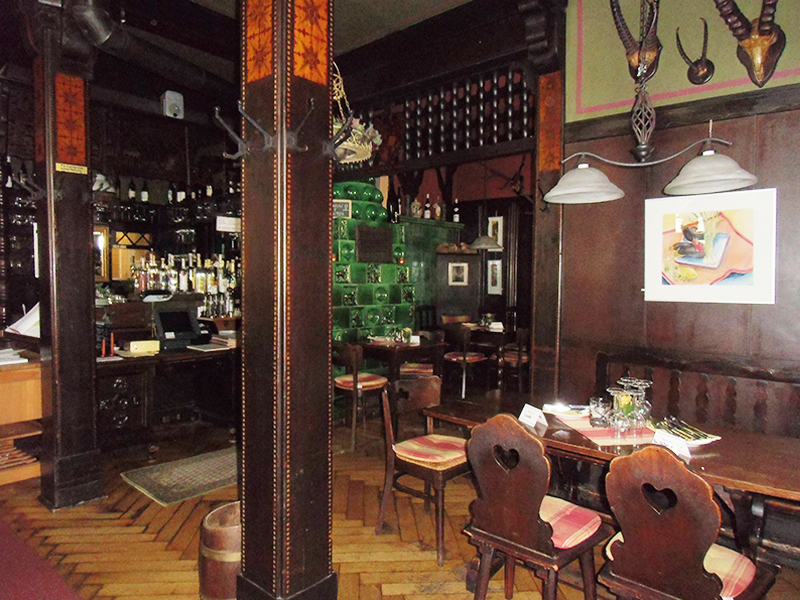 Comfortable interiors with a fireplace, old furniture and wood panelling. 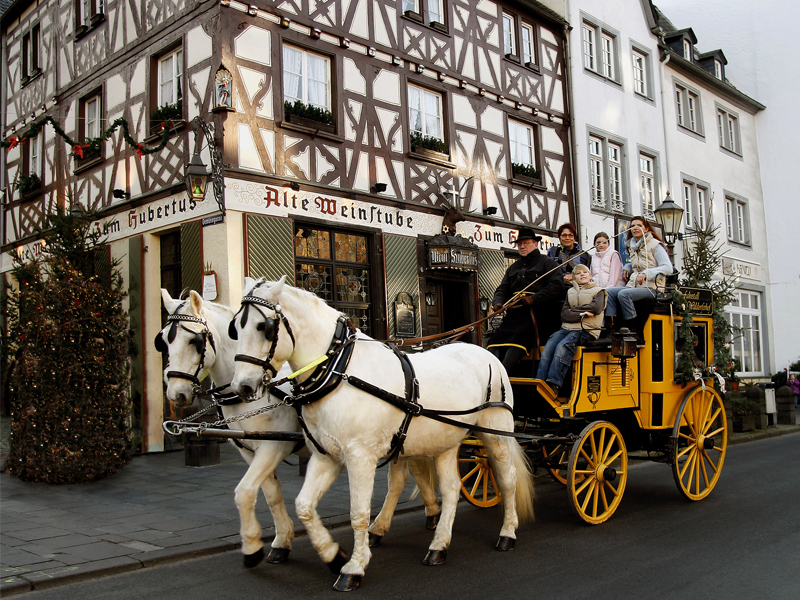 Selected German wines from the Rhine-Moselle region around the Deutsches Eck and Koblenz, of which there are 30 open wines and 30 bottled wines. Fresh on tap: Bitburger Pils and Gaffel Kölsch. We offer many food products direct from regional suppliers. We are committed to providing you good quality and freshly prepared specialities. We offer a special seasonal menu, e.g. when asparagus, mushrooms, game or geese are in season, and much more. You will find a variety of vegetarian dishes on our menu. We also have a lunch menu. Outdoor seating in the summer time invites you to sit and relax. Separate room for parties of up to 24 people.